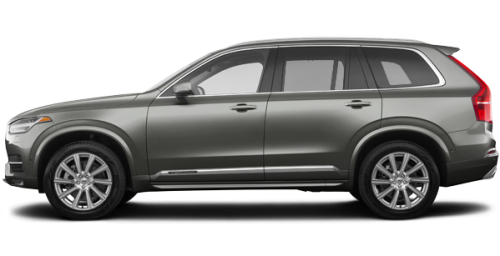 Lease a 2019 Volvo XC90 from $789 monthly for 48 months with $5,000 down. Retail value of vehicle is $74,220. 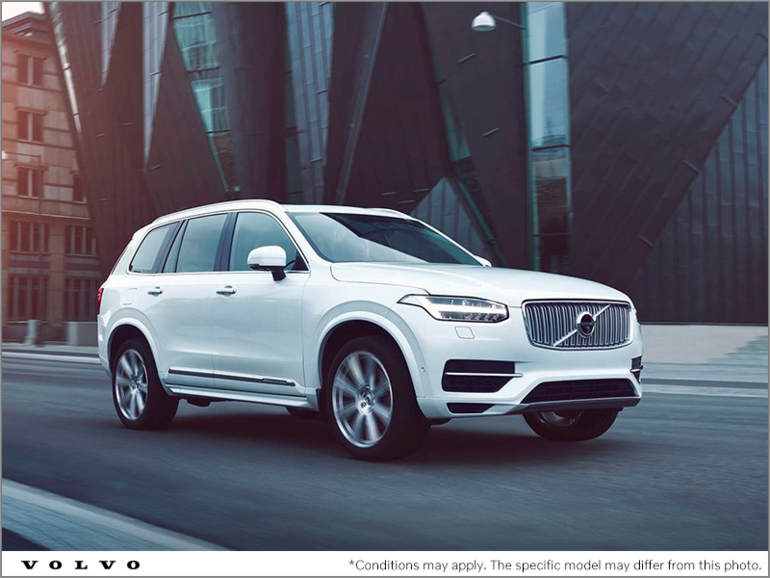 **Limited time lease offer provided through Volvo Car Canada Limited on approved credit. Representative lease offer based on a new and previously unregistered 2019 Volvo XC60 T6 Momentum. Lease at 2.9% for 48 months. Down payment of $4,298.07 (or equivalent trade-in). 48 monthly payments of $598, which include $2,015 freight and PDI; $100 A/C charge (where applicable); as well as other applicable fees, levies and duties (all of which may vary by retailer). Includes: (i) 1% reduction for loyalty or conquest; and (ii) $1000 Add Cash (deducted from the negotiated price before taxes). 48 monthly payments required. Retail value of vehicle is $53,200. MSRP reduced $50 due to dealer participation. License; insurance; registration [including RDPRM lien registration fee (up to $75) and lien registering agent fee (up to $75)], $29.20 specific duty on new tires and applicable taxes are extra and are due at lease inception. Down payment (or equivalent trade-in), $0 security deposit and first monthly payment also due at lease inception. 16,000-kilometer allowance per year; charge of $0.16/km for excess kilometers. Retailer may lease for less. Advertised offer available in Quebec only.